Last year I was runner up in the Tile Doctor of the year competition due entirely to generosity of my customers who went out of their way to leave feedback for me. I’m pleased to report that not happy with 2nd place I maintained the high standards throughout 2017 and made it to the number 1 spot to become winner of the Tile Doctor of the year competition. I’d like to thanks all my customers who sent in feedback about my service in 2017 and apologise if I chased you for it. 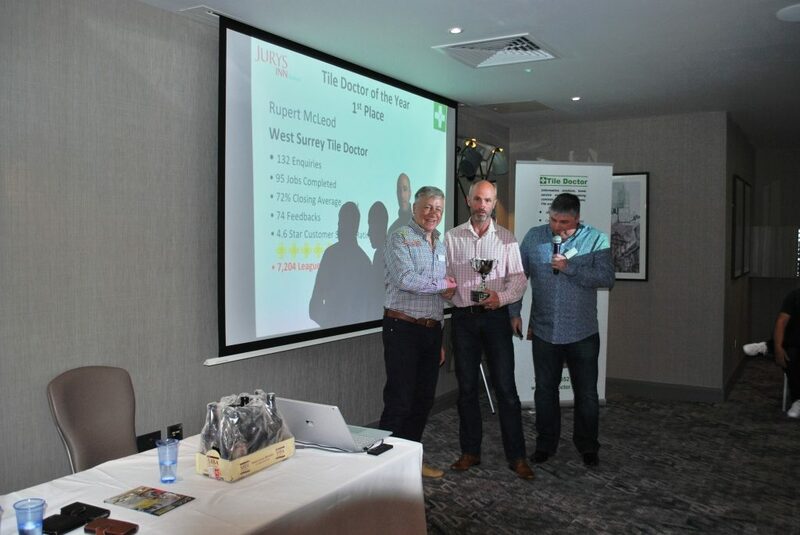 Your feedback is used to determine the winner of the Tile Doctor of the Year Competition and I’m happy to report that because of your collective effort I was awarded the Trophy at this years Tile Doctor conference in Oxford. 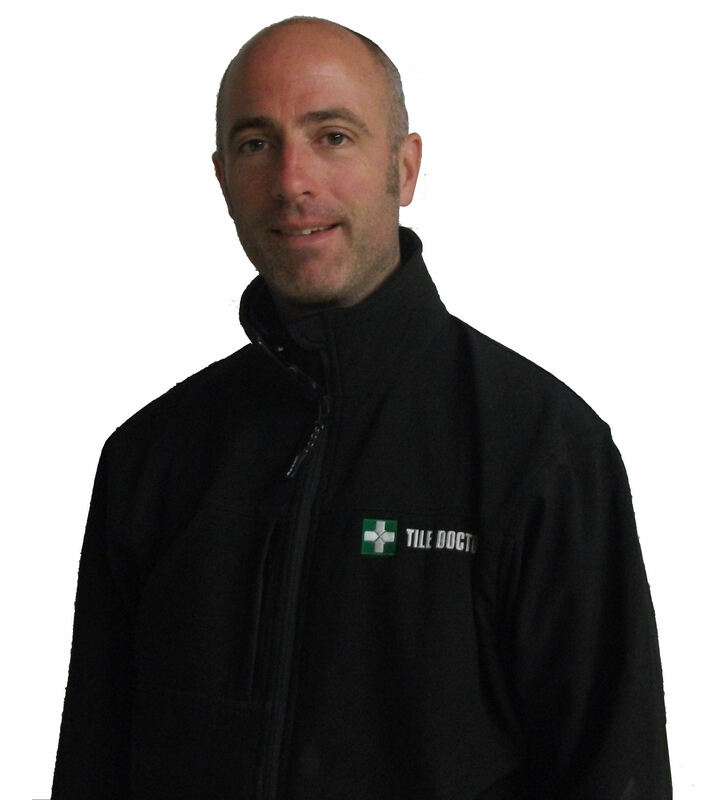 There are over 50 Tile Doctors dotted around the UK so there is strong competition for first place which is judged on ensuring customers have a good experience. The fact that I came 2nd place in the 2016 competition shows how difficult it is to achieve. I’d also like thank the competition runners up, especially Steve Thomson, the Glasgow Tile Doctor who nearly pipped me to the number 1 spot and really kept me on my toes in the last weeks of the competition. I’m looking to repeat this success at the 2018 awards next year, so looking forward to doing the best for all my customers and collecting some really good feedback from you. 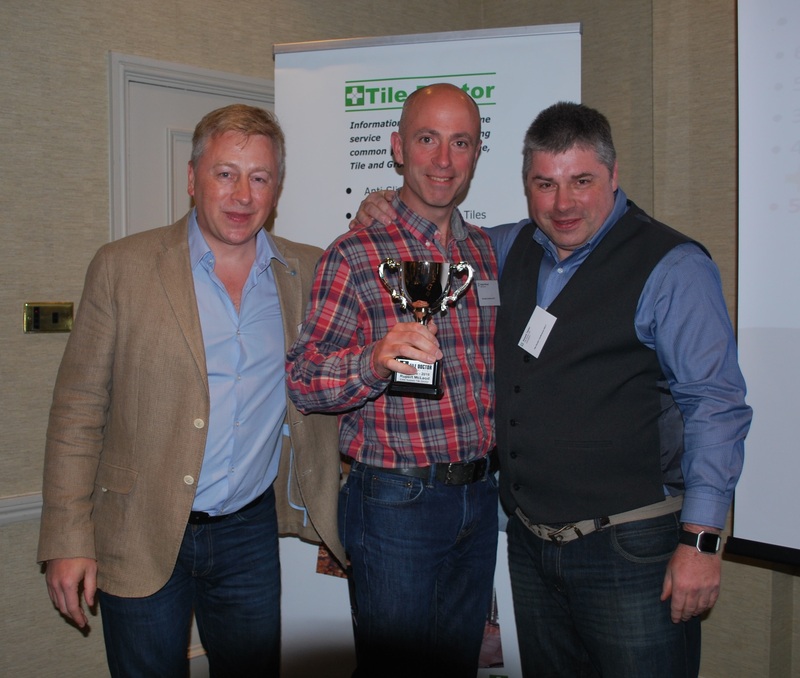 Thanks to all my customers who sent in feedback about my service in 2016, your feedback is used to determine the winner of the Tile Doctor of the Year Competition and I’m happy to report that at this years Tile Doctor conference in Leicester I won a Trophy for being the 2nd place runner up. There are around 50 Tile Doctors dotted around the UK so the competition for first place is high and having a lot of feedback really helps. I have my eye on first place for 2017 so I need all the help I can get and promise to do a first rate job for you in order to achieve it. Congratulations for first place went to the Cambridge Tile Doctor Mick Conlon and other awards were given out for 3rd place, best new Tile Doctor and Best On-Line reputation.